from Tuesday to Friday 2 p.m. –8 p.m.
from Saturday to Sunday 2 p.m.–6 p.m.
guide visitors through the exhibition October 8 – 13, 2014.
in Frankfurt Book Affair 10.10.2014, 14 P.M.
as part of Finnland Cool -theme. Saturday October 11 from 12 a.m. to 2 p.m. Ausstellungshalle. from 12 a.m. to 2 p.m. Ausstellungshalle. Fair, Friday 10 October from 2 p.m. to 3 p.m. Finnland Cool! October 13, 14-17 p.m. Ausstellungshalle. ”The Loveliest Girl in The World” - To become visible. A decade-long photography project about mistreated girls. to the method of empowering photography. I´m very touched about the photos of the girls who show another side of been a human being. May this kind of thinking get more place in our German society too. Thank you for this experience. Thank you from the bottom of my soul from this healing, healing project. I´m very touched by the photos and the idea, the aim and process of the project. What a good and an excellent idea to be seen by others, but most important, to be seen by ourselves. To see all the emotions, to recognize and accept them. How brave from all of you!!! It´s wonderful to feel the love in these amazing pictures. So much to see, to feel. One of the most important needs is to be seen as precious and to see yourself precious. A great concept and a great exhibition! The pictures are really beautiful. see very ”arranged” pictures that don´t show how somebody really feels. Thank you very much for the realization of one of the most important and facinating ideas. Sorry to say, but lot of children have to face their problems alone. Its a great happiness to meet someone who understands you and helps you to learn who you really are. Thank you so much for this exhibition and presentation of the work of Miina Savolainen. Miina, your work shine pure love through the photographs and the process behind the pictures. Really inspiring! And I hope it will inspire a lot of people. It inspired me! trip to nature with pictures of a beautiful country and beautiful girls. These images reminded us of how connected man is with nature! The most successful Finnish photography project of all time will be on display in Budapest from March 23 to April 26, 2013, courtesy of Finnagora, The Finnish Institute in Budapest. The exhibition will arrive in Budapest from Ottawa, Canada and Washington, D.C. and New York, United States as part of its international tour in Europe and North America. The Loveliest Girl in the World can be seen in its entirety at Próféta Galéria. Finland and the ambassador of Finland in Budapest, Mr. Pasi Tuominen, host the exhibition to emphasize the meaning of human rights and welfare of children. Próféta Galéria, March 23 – April 26, 2013. 1111 Budapest, Szent Gellért tér. Open from Monday to Friday 11 a.m. –6 p.m. Free entrance. The creator of the exhibit, artist and social educator Miina Savolainen will guide visitors through the exhibition daily from 23 – 26 April 13 – 17 p.m.
Miina Savolainen will discuss the touching story of the project with an introduction to the method of empowering photography on Tuesday 23 April and Thursday 25 April 18 p.m.
AMERICAN AUDIENCE IN WASHINGTON, D.C.
scenarios. They also show the process of gaining trust and confidence. between the photographer and each girl, which is so clear. The physical settings are imaginative and speak of another world. he beauty in every woman and every environment. I feel transformed by their transformation. when the photographer get these shots. What a beauty! over the years of graining confidence. how you stare back at the viewer creates such an interesting tension. I see the individual spirit and the collective journey. a beauty. Thank you for sharing yourselves with us. way for them to know themselves, exposes their sadness and joy. and emotions caught on film will follow me rest of my life. “Thank you for inspiring me with your beauty and strength. to free themselves for a future filled with love, joy, a peace! in this process. Congratulations to you all. “Remarkable beautiful, and remarkable overall. THE FIRST FEMALE AMBASSADOR OF FINLAND IN UNITED STATES HOSTS THE LOVELIEST GIRL IN THE WORLD EXHIBITION ON OCTOBER 19 - NOVEMBER 13. The Loveliest Girl in the World, the most successful photo exhibition in Finland, is invited to the United States to participate the FotoWeek DC photography festival. FotoWeek DC is an annual celebration of photography. The exhibitions and events of FotoWeek DC gather over 30 000 guests, and is organized in collaboration with over 60 different partners including museums, art galleries, universities, Pulitzer Center and National Gallery of Art. The exhibition is part of the Foto Week DC and EuroKids festivals and arrives in Washington as a part of its North and South American tour. The exhibition is guided, and photographer Miina Savolainen herself gives lectures and tours from 11th to 12th November 2011. The program also includes an invited lecture at the University of Columbia, New York, on 10th November 2011 which covers the larger concept behind the exhibition: the method of empowering photography. From Washington DC the exhibition The Loveliest Girl in the World moves into the United Nations Visitors Centre, New York City, in 2012. The Loveliest Girl in the World can be seen in its entirety at the Embassy of Finland. The exhibit comes from Ottawa, Canada. Finland and the first female ambassador of Finland in United States, Mrs. Ritva Koukku-Ronde, host the exhibition to stress the importance of gender equality and empowerment of women and girls. The creator of the exhibit, artist and social educator Miina Savolainen will guide visitors through the exhibition October 22 – 23 and November 12 from 11 a.m. to 4 p.m.
Lectures on empowerment of girls and women through photography will be held on October 20–21 and November 11. Artist Miina Savolainen will discuss the touching story of the project with an introduction to the method of empowering photography. Open from Friday to Sunday 11 a.m. – 4 p.m.
3301 Massachusetts Avenue N.W. Washington D.C. THE LOVELIEST GIRL IN THE WORLD -EXHIBIT IN CANADA 26.5.–2.9. 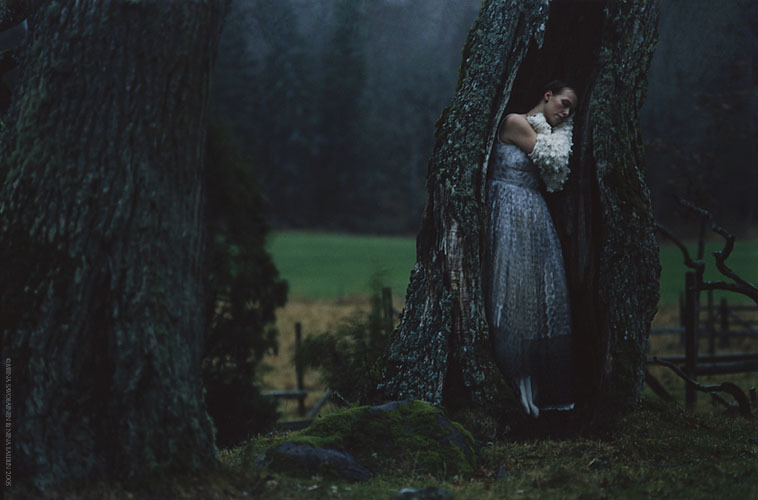 The Loveliest Girl in the World – an award winning Finnish photography exhibit with record breaking attendance figures at home, will be at the Sussex Gallery of the Old City Hall in Ottawa May 26 – September 2, 2011, courtesy of the Embassy of Finland. The exhibit is part of Women’s Worlds 2011 Conference hosted by Carleton University and University of Ottawa. Artist Miina Savolainen tells the touching story of the project in words and pictures with an introduction to the method of empowering photography– lectures 1st – 2nd September. Open daily 8am–20pm. Free entrance. 111 Sussex Drive, Ottawa, ON. and women, I can´t explain all of the emotions I feel for your work. recognizing both and doing awareness." amazing story of survival, victory and beauty. Thank you." how important INNER beauty is. Thank You." for me to feel comfortable for camera. I have grown up for good but still shy for photos. Thank you ´cause through out your work I felt like a princess, too." you have given the young women and world." know that she is special and that I believe that she can achieve anything. to pursue who they really are. They are really beautiful!" The Loveliest Girl In The World is a beloved collaborative art project, made by Miina Savolainen and ten young women who have been growing up at the children’s house Hyvönen. It also includes a large and awarded art exhibition and a photography book, published in 2008. Photography series, photographed for a decade, is a story of growing up and becoming visible. In it’s early form it was first showcased as a public exhibition in 2003. All together 140 art pieces follow the girls’ process from childhood to young adults. The exhibition’s photographs are shot in a traditional way in authentic places and in different natural environments all over Finland. The photographs in the series are photographed in film and exhibition works are made in dark room and are c-prints. The empowering photography method, which is used in this collective art project, has had a remedial meaning. Accepting your self-image is a metaphor for accepting yourself. In empowering photography the power of the photographer and the myth of truth are turned to support the individual’s subjective right to define oneself. Photographs are designed and created together with the young. In these fairytale-like photographs of The Loveliest Girl In The World- series the maltreated young girls have managed to see themselves powerful and completed. In these archetypal photographs the nature in its greatness plays the role of protector of vulnerable children. The message of the project is that everyone has a right to feel precious and beloved. The project speaks out for the meaning that art has in healing and making things visible in our society. The exhibition has been shown in Annantalo Arts Centre, Helsinki (2003), EuroCult21-event, Barcelona (2005), Art Museum of jyväskylä (2005), The 12th Edition of the Biennial of Young Artists, Naples (2005), Art Centrum Arx, Hämeenlinna (2006), Photography Centrum of Ostrobothnia 2006, Sarajevo Winter- art festival (2007), Museum of Wäinö Aalto, Turku (2008), and TR1 Art Hall, Tampere Art Museum 2010-2011. FATHER – Empowering photography – exhibition brings together works by fifteen photographers who have been using the empowering photography method during the project. The director of the community art project was Miina Savolainen. The group members’ personal life-experience of fatherhood are present in their works and the project, already started in 2005, and they can be seen in terms of subjects and perspectives. During the process the group approached the theme first through their own real life-experiences of fatherhood and then gradually moved on to examine different expressions of fatherhood and sights in the Finnish society. FATHER– Empowering Photography-exhibition tells stories about the meaning of different kinds of fathers to children, relationships and society. How does the chain of generations of fathers affect the children’s choices in their life later on. As a grown up, can you fix your own father relationship when your father lives only in the memories. How have the changing expectations altered men’s ways and opportunities to carry out their fatherhood? FATHER– Empowering Photography - exhibition was first seen in Helsinki’s Jugendsali 17.10.2007– 13.1.2008. The culture minister of Finland, Stefan Wallin, opened the exhibition. It became the public’s favourite attracting 18 000 visitors and resulted in an exceptional amount of touching feedback from the audience. After Helsinki the exhibition was held in Gallery Tyko in Nurmes 28.1-2.3.2008. In autumn of 2009 the exhibition was on display in Gallery Zebra, Karjaa, 25.9.-16.10.2009 and in Linderinsali, Lohja 5.11- 27.11.2009 produced by The Photography Centre of Raseborg. It was also seen in The Culture Centre of Imatra 2.-19.12.2009 produced by The Photography Centre of Southeast Finland. In spring 2010 the exhibition became the most popular exhibition in Jyväskylä Art Museum´s history with over 7 000 visitors. During autumn 2010 the exhibition will be exhibited Gallery Myötätuuli in Raahe 1.10.-27.11.2007. The exhibition will also include a vast pedagogy program open to the public.